Kubernetes is one of the most popular open source container orchestration systems. It’s used to manage the whole life of containerized applications, including deployment, scaling, upgrading etc. Sometimes you want a Kubernetes cluster to test an application or to create a development environment quickly and easily. Kubernetes community created a tool named Kubeadm for this purpose. It greatly simplified Kubernetes deployment process. 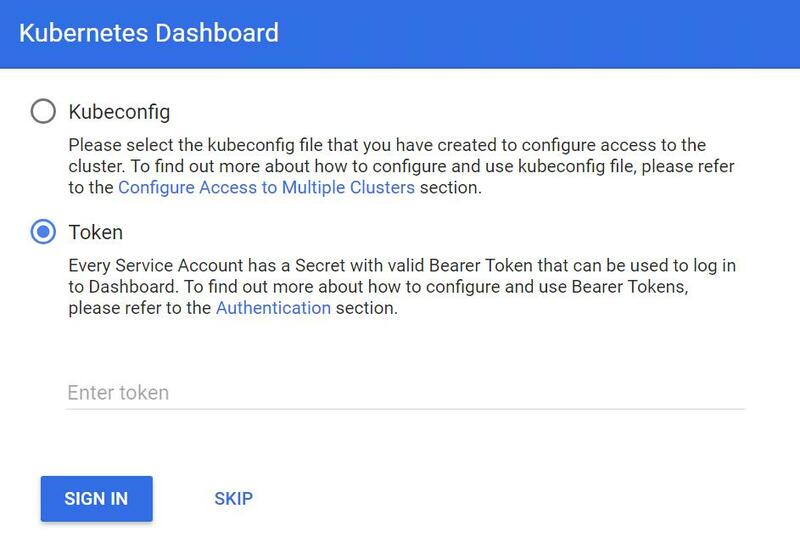 This article demonstrate how to create a simple Kubernetes cluster on CentOS7, which is able to pass Kubernetes Conformance tests, using Kubeadm. We have another article for setting up Kubernetes on Ubuntu16.04 servers. You can refer to it if you prefer Ubuntu as your Operating System. Our example cluster consists of 5 servers in an internal network 192.168.100.0/24. Out of the 5 servers, three will be the masters nodes with IPs 192.168.100.10, 192.168.100.20, 192.168.100.30, respectively. The other two will be worker nodes and have the IPs 192.168.100.40 and 192.168.100.50, 192.168.100.60 is used as a virtual IP for Master services. You can choose to different IPs according to your own network environment. Kubernetes cluster is highly configurable. Many of its components is optional. 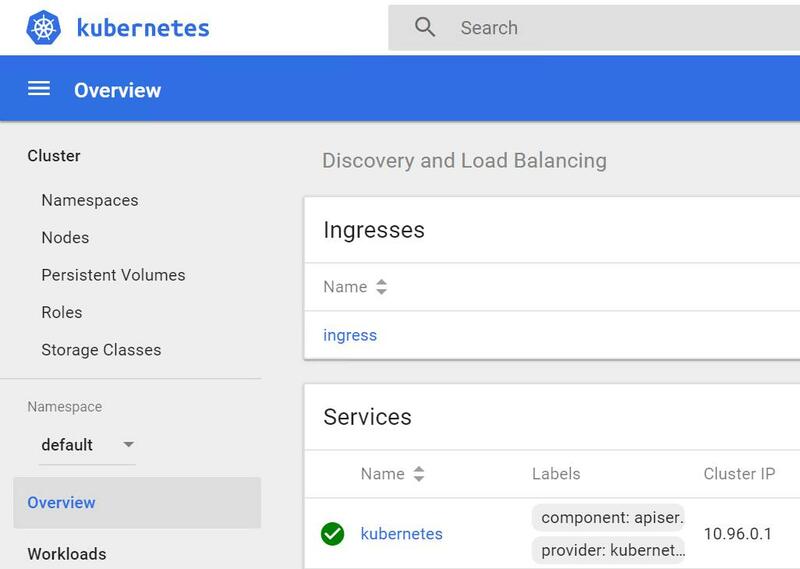 Our deployment consists of the following components: Kubernetes, Etcd, Docker, Flannel, Helm and Nginx-ingress-controller. Each server has at least 2 CPU/vCPU cours, 4GB RAM and 10GB disk space. All servers must have Internet access in order to download software packages. Operating System on them is CentOS7 with root user enabled. We generate one set of configuration files on Master01(192.168.100.10) and copy them onto all Master nodes. To copy configuration files generated in the last step to installation folder, you need to perform the following tasks on all 3 Master nodes. The keepalived configuration file is located at /etc/keepalived/keepalived.conf. In this file , you need to replace KEEPALIVED_AUTH_PASS with your own password and make the password identical on all Master nodes, and change the interface item value to the server’s proper network interface name. 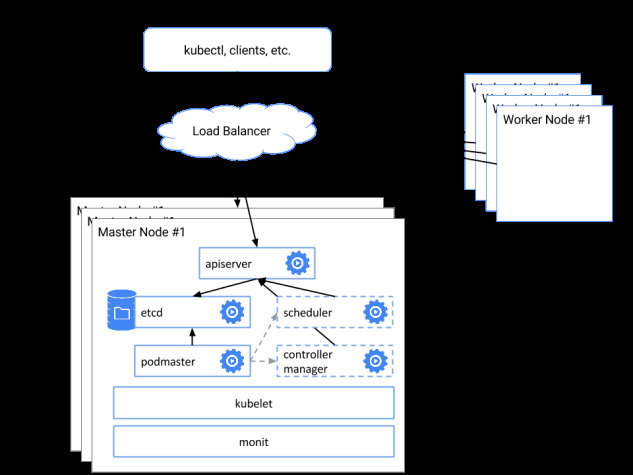 Thanks for kubeadm, joining a Kubernetes worker node is as simple as running a command in console. The command line with the parameters and their value is what ‘kubeadm init’ execution returned in the previous step. You merely need to copy the command line and execute it on target servers. Retrieve dashboard token by running following command on one of Master nodes. Now you have a full-function working Kubernetes cluster. You can explore our other solutions if you want to know more.